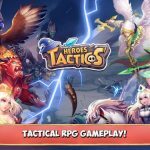 League of Angels – Fire Raiders is a role-playing mobile game from GTArcade that’s designed for iOS and Android platforms. In the game, you get to fight alongside your heroes and favorite angel, as you battle the Devil Army and fight in the honor of Princess Lizeea. 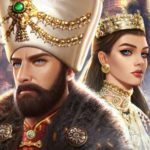 You’ll learn magic spells along the way, and play intricate war games against other brave warriors, and that would also mean recruiting a good number of heroes and collecting and upgrading your weapons accordingly. 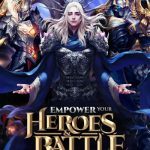 That’s just a very brief overview of what this game is about, but if you really want to learn how to beat the evil Demon King, you’ll want to check out our share of League of Angels – Fire Raiders cheats, tips and tricks. If you’re wanting to complete more three-star levels in League of Angels – Fire Raiders, the main thing you have to do is to make sure that none of your heroes meet their end in combat. And if you get a three-star level, that would mildly impact the amount of gold you receive, but more importantly unlock Blitz mode for the level in question. That means you’ll get all the applicable drops without having to play the level. And since you’re going to be scrounging for equipment pieces later on in the game, this could be very, very important. Your first angel, Vienna, comes with a group heal skill, so you’ll want to use this in battle in connection with the first tip – this feature, quite simply, heals everyone in your party, therefore keeping them alive as long as you’re careful. As such, you should upgrade her as much as possible, may it be her active skills or her passive skill of Divine Contact, which will give your entire team an attack boost. When you decide you’re all good to go for the moment and want to stop playing the game for some time, you’ll want to have some of your heroes training while you’re away. At first, you get three training slots, but you can use diamonds to unlock more. Training your heroes gives them experience, and the good thing is that there doesn’t seem to be any limit as to how many XP they can receive while you’re out. 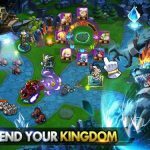 League of Angels – Fire Raiders is one of those games where you can get a plethora of freebies, as the game isn’t shy about offering these free goodies to you. Completing a quest, for starters, is good for a generous amount of extra gold and XP. Achievements, which are similar except for their long-term nature, can also give you free stuff, same with the Gift section. You can get gifts for consecutive daily logins, for instance. Events are more time-bound and you can only claim rewards within a certain range of dates. Last, but not least, Check-In rewards will be given to you if you login not just for a consecutive day, but for one whole month. Each of your heroes comes with six equipment slots, and some slots are reserved for crafted equipment. You’ll have to find the base pieces for these items, and once you’ve filled up all six equipment slots, that’s when you can promote them by fusing the equipment with the hero. Promotion gives your heroes new abilities while markedly improving their stats.